In southwestern Namibia lies a vast area that’s been off-limits to visitors for more than a century. 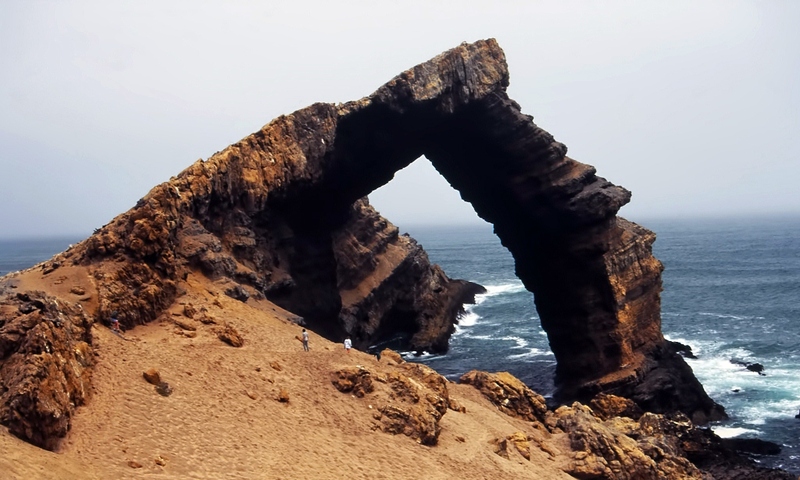 It stretches along the Namibian coast for a distance of 320 km starting from the South African border at Oranjemund to around 72 km north of Lüderitz. This region is known as Sperrgebiet, which is German for "Prohibited Area". Sperrgebiet was created by the German Empire in the beginning of the 20th century during the German occupation of South-West Africa to allow the Deutsche Diamantengesellschaft, or German Diamond Company, unrestricted access to the vast diamond deposits in the area. After the Germans lost control of the territory to South Africa during World War 1, mining rights were taken over by DeBeers, who had control of the area until the 1990s, when the Namibian government purchased a fifty percent stake. In 2008, Sperrgebiet was converted into a national park covering some 26,000 square kilometers of the Namib desert. It is still largely undeveloped and much of it continues to remain inaccessible to visitors. Only a small section of this wild landscape containing a couple of abandoned mining towns can be visited by tour groups, provided they have special permits from the Ministry of Environment and Tourism (MET), and are accompanied by a nationally certified tour guide. Neither De Beers nor MET want tourists backpacking and driving their 4X4s all over the region, for now, partly because Sperrgebiet is a pristine, ecologically fragile desert, and partly because there is still a lot of diamond in the area. The Sperrgebiet is one of the world's richest diamond beds. The gems were brought to the earth surface by volcanoes that erupted nearly 3 billion years ago. As the volcanoes eroded, the diamonds were broken down and washed hundreds of miles down the Vaal and Orange Rivers, and spread up the coast by powerful tides. De Beers is still picking diamonds from the coast and from the sea —more than a million carat every year. At the moment, security is tight and anybody caught with an illegally removed stone faces up to 15 years in prison. On the way out, visitors and workers are meticulously searched by guards and scanned by X-Ray machines. To prevent anyone from slipping diamonds into gas tanks or truck frames, no piece of equipment that enters the mine ever leaves. Every digging machine and truck used since the 1920s sit inside Sperrgebiet rusting. Map of Namibia showing the location of Sperrgebiet National Park. Although the entire area is forbidden, in reality only about 5% of the Sperrgebiet is actually mined, while the rest acts as a kind of buffer territory and remain largely untouched. Exclusion of humans have helped preserve the natural biodiversity of the region which is now a hot-spot for exotic flora and fauna. 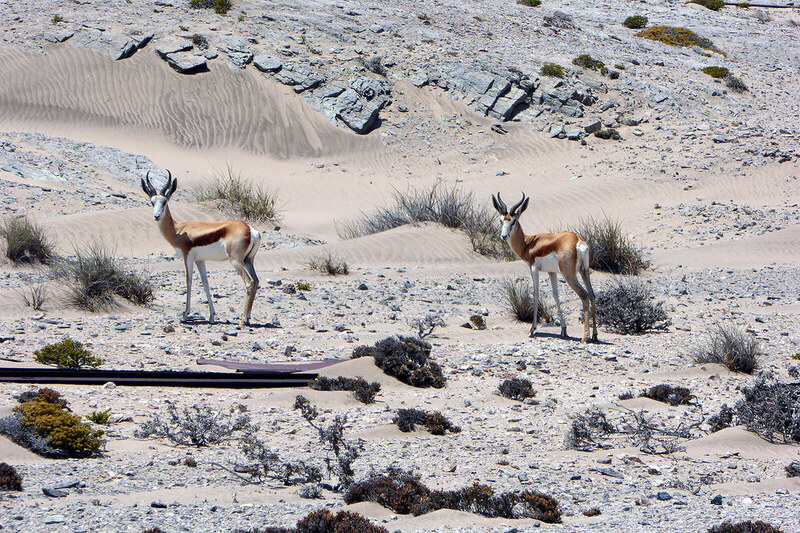 The Sperrgebiet has more biodiversity than anywhere else in Namibia, supporting animals such as the gemsbok, springbok, and brown hyena, and bird species such as the African oystercatcher, the black-headed canary, and the dune lark. Some 600,000 Cape fur seals live here, representing 50 percent of the world's seal population. 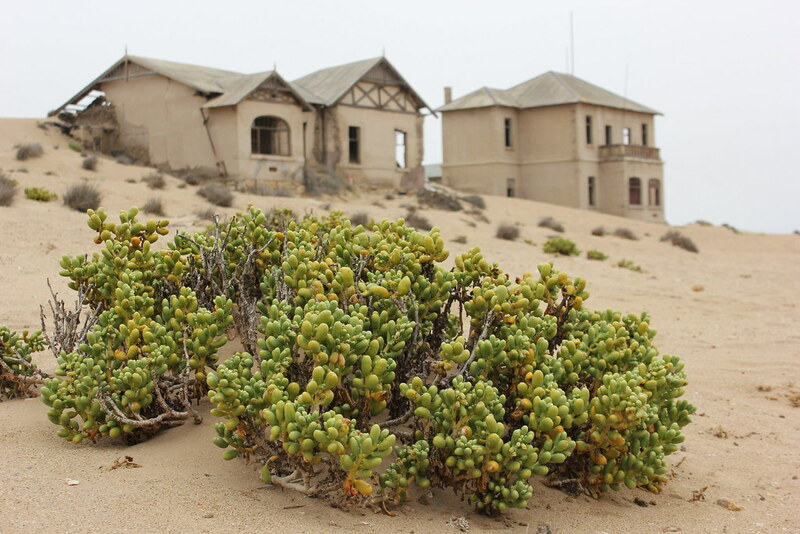 The most fascinating locations inside the Sperrgebiet are its abandoned mining towns such as Pomona, Bogenfels, Kolmanskop, Elizabeth Bay, Hottentots Bay and Baker's Bay. 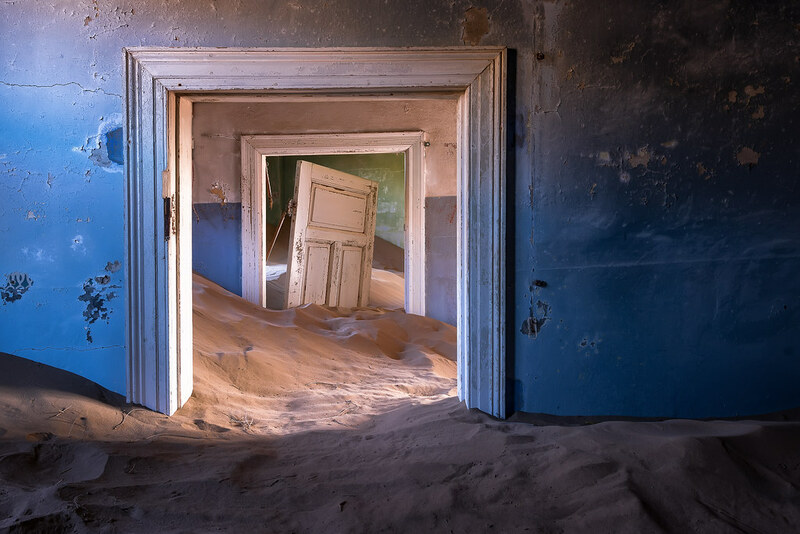 Among these Kolmanskop (previously featured) is most popular because of its picturesque setting and sand devoured houses which provides countless opportunities for photographers. Another popular spot is the deserted village Pomona, which also lays claim to having the highest average wind speeds in Southern Africa. Then, there is 'Fairytale Valley', a place where diamonds were said to be so common that one could pick them by shovels. The national park is expected to become more accessible as De Beers relinquish control of the region to the Namibian Ministry for Environment and Tourism once a management plan for the park has been completed.